WhatsApp, after introducing the official public Beta program, has finally enabled new features for beta users. Authentication feature is the most prominent among the others, which will be available after 2.19.20 iOS update on AppStore. According to WAbetainfo, Authentication feature is now finally available for beta testers with a few changes and improvements. 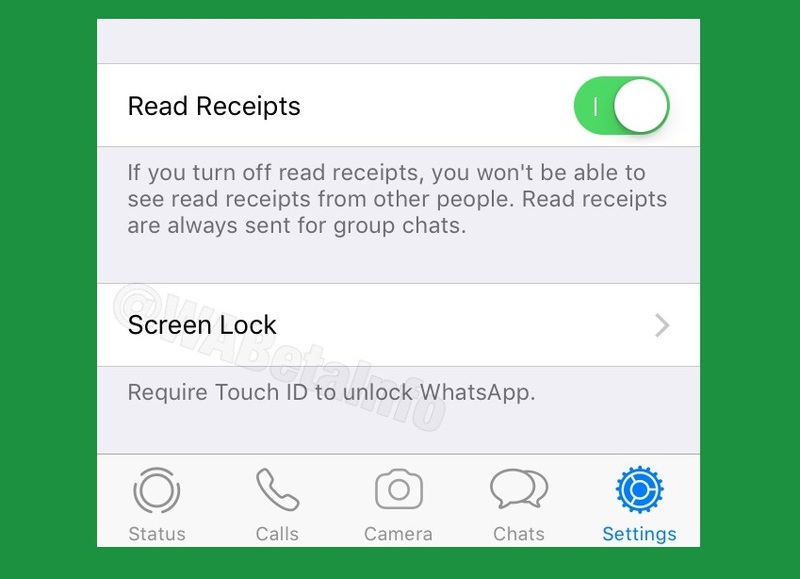 To enable this go to WhatsApp settings, select Account and then choose Privacy. For iPhone X or the latest versions of iPhone, Face ID is available. Whereas, for the older versions Touch ID option can be enabled. By selecting Screen Lock you can opt for the Authentication feature for the device. By enabling this, messages can still be sent through notification and calls can be attended without authentication. It also lets users configure when WhatsApp should ask for authentication. Once the configuration is done, the authentication feature will be implemented and can be checked by closing and then opening WhatsApp again. In case authentication fails, an alternate option of putting passcode is also available to open WhatsApp. After the Authentication feature is enabled, preview snapshot in the background appears as a blank screen and does not show Whatsapp chats. The facial recognition or fingerprint data is encryption that cannot be extracted or sent to Whatsapp's server. The process is handled by iOS, ensuring your security after enabling authentication feature. Also, you do not need to download the whole pack of stickers, instead choose only the specific ones of your choice. Open WhatsApp Stickers in App Store, tap and hold the ones you want to keep and add them to favorite. This update will also include certain bug fixes and improvements in media player, video editing, location and a few other. Let's Make This World a Better Place To Live.